Some folks think paper calendars are outdated, but I still like seeing something each day that reminds me of the date. That is where these flash card calendars come in. They combine a bunch of some of my favorite things–flash cards, letters & numbers and paper. Propped up on a window ledge or on your desk, they are a gentle reminder of the date and season. They become great bookmarks as the months pass as well as postcards that you can write on the back side of and just drop right into the mail. 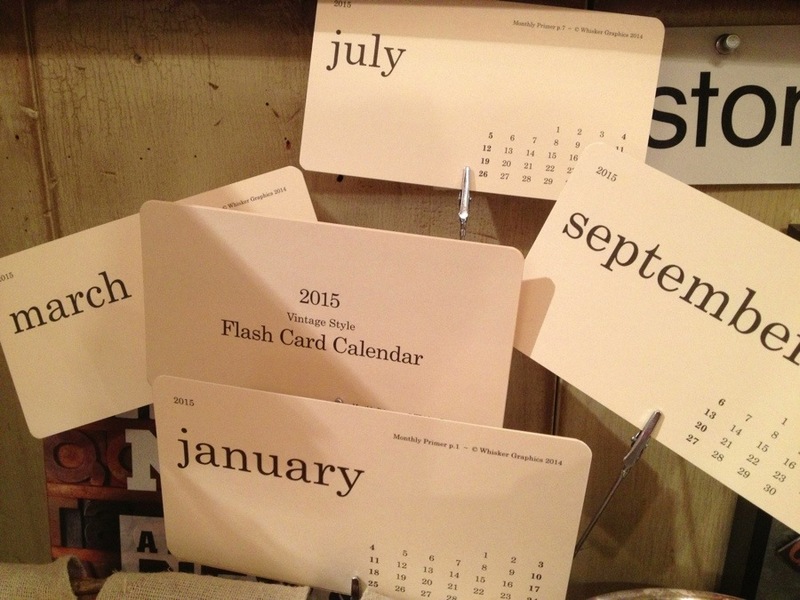 We have carried these for several years and will continue to do so for many more as they really are just the niftiest versatile little calendars.